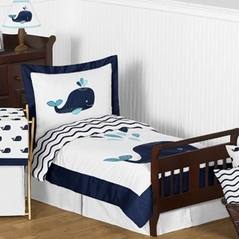 Blue Bedding is for boys, right? 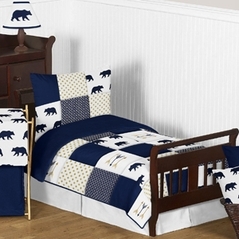 Well, it can be. 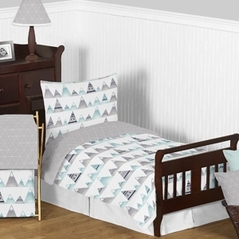 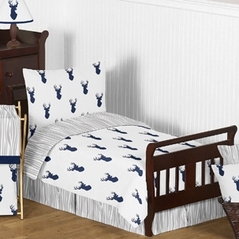 Beyond Bedding has a variety of adorable blue bedding for toddlers whether they are a girl or a boy. 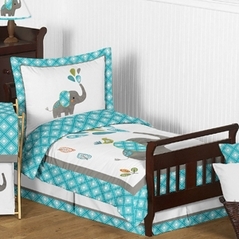 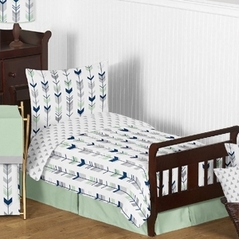 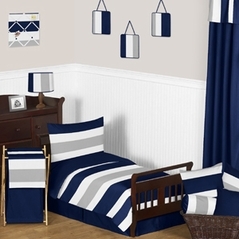 Blue Toddler bedding can be very versatile depending on the room decor. 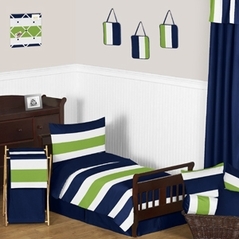 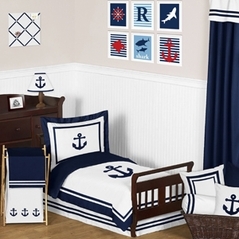 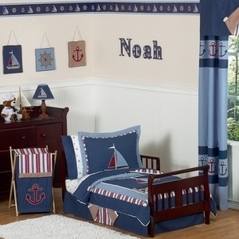 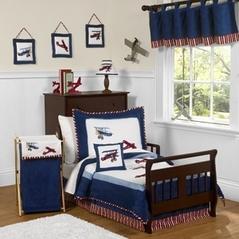 With choices of nautical, sports, trucks, and more, you will find the perfect blue bedding set to fit your toddler room's decor. 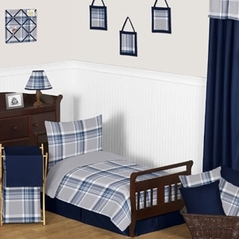 Ranging from light blue to dark blue and everything in between (even pastels) our bedding sets will provide something for everyone. 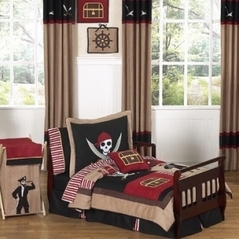 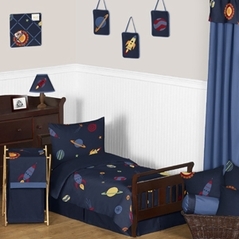 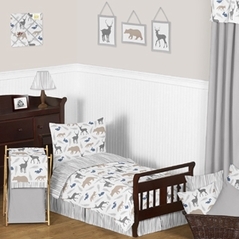 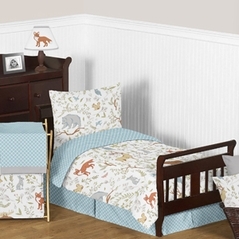 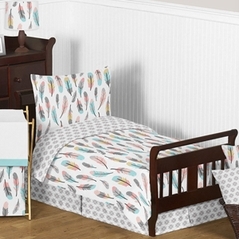 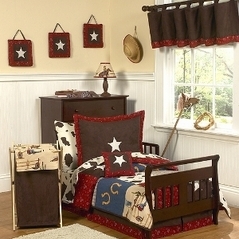 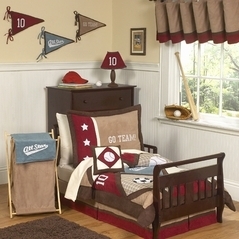 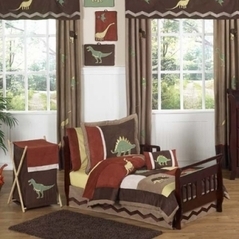 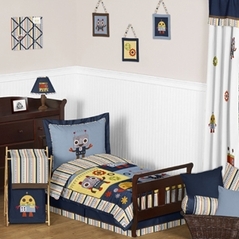 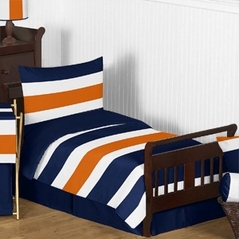 If you are going for a unique theme, our boys Sports Toddler Bedding and our Cowboy Toddler Bedding sections are a good place to start your search. We have everything you want to build the toddler room of your dreams. 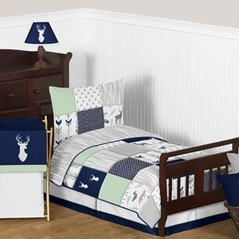 In our beautiful collection of Blue Toddler Bedding you can shop with confidence in the quality of our bedding products. 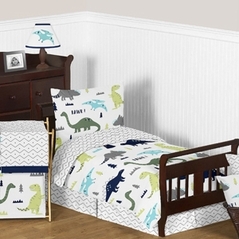 Also, all of our toddler bedding products have matching accessories.